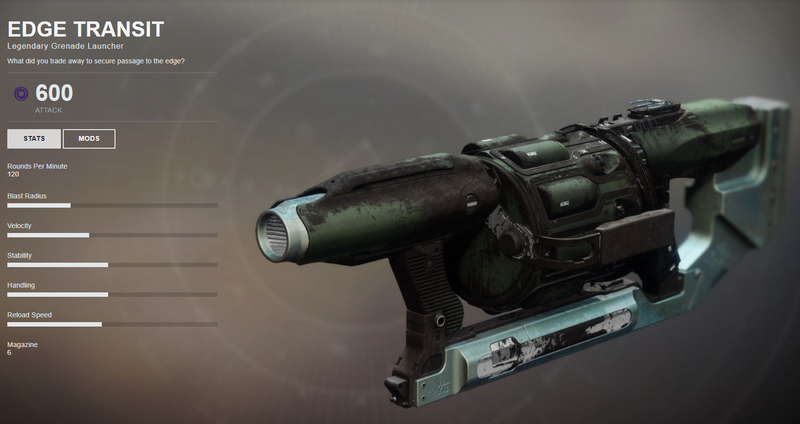 Edge Transit has become notorious since Forsaken released because of how often players seem to be getting it. It also doesn’t help that the gun is mostly trash. Legendary engrams are the little drips of dopamine that keep people playing Destiny, and part of the excitement of any new expansion is the thrill of farming them and discovering all of the new weapons that have been added to the game. So it was weird, frustrating, and darkly humorous in only the way Destiny RNG can be when so many people, myself included, struggled to get any heavy weapon drops that weren’t Edge Transit. The gun became a meme. Yesterday, a poster on Reddit suggested the launcher’s reload animation should be throwing it away and pulling out a brand new one. Some people even theorized that its prolific nature was actually an indication of how few new heavy weapons had been added to the game for year two. It’s not entirely surprising given the number of other small glitches and problems that plagued the game in the first week following Forsaken’s release, though the effects of this one were particularly widespread. Confirmation of what so many of us suspected all along should feel cathartic, but I think I lost all feeling in my heart and thumb after breaking down my seventh Edge Transit in almost as many days. They say the truth will set you free, but in this case we’ll have to wait until Bungie delivers the patch.